Different crowdfunding platforms are nice places to find money for your playing card project and to test its demand. Kickstarter started all these but other crowdfunding startups don’t yawn and try to compete with it. New crowdfunding platforms focus on their specialization and additional services. So, this page is dedicated to interesting selected crowdfunding playing card projects on different crowdfunding platforms (including Kickstarter). This page has only title banners of different crowdfunding platforms and some active playing card projects on them. Click on the banners to go to the separate main pages dedicated to appropriate crowdfunding platforms and playing card projects. You will be able to find more information about the crowdfunding platform and all interesting playing card projects on it (previous and current). Kickstarter is a funding platform for creative projects. Everything from films, games, and music to art, design, and technology. 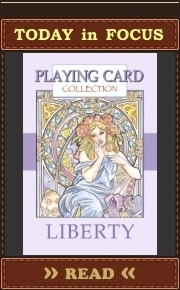 It happened to be very popular among playing card creators. A lot of crowdfunding decks have been funded on it. This is the biggest crowdfunding platform at this moment. Almost each month new decks appear on Kickstarter. Here you can always find selected interesting playing card projects which are active on Kickstarter. Pay your attention to special badges explained below. They should help you to take your decision about specific crowdfunding deck. Try to find something new for your collection. CardLauncher is a new crowdfunding platform for creating playing cards. It states such specialization. The platform was founded by a team of people who is “Passionate About Playing Cards”®. It tries to propose new services in the field of crowdfunding. For example, its “Guaranteed Rewards Delivery”® promise insures that every single item that backers pay for will be delivered, assuming successful funding (CardLauncher is a service of the Cyberian Way, LLC partnership, founded in Charleston South Carolina and owned by people from the United States, Canada, Sweden, Greece, United Kingdom, Singapore & Australia). Also they accept projects from different parts of the world without restrictions (as opposed to Kickstarter). So, here you can always find selected interesting playing card projects which are active on CardLauncher. Pay your attention to special badges explained below. They should help you to take your decision about specific crowdfunding deck. 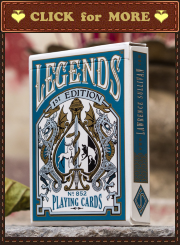 There are so many playing card decks on crowdfunding platforms these days. Some of them are created by trusted persons who had successful previous crowdfunding projects. Some of them are created by novices. With such a great number of playing card projects on different crowdfunding platforms, it is not so easy to keep track of them and to estimate reliability/safety of each one. Unfortunately, PlayingCardCollector.net can’t guarantee reliability/safety of any such playing card project and take responsibility for them. But the blog tries to provide playing card collectors with the additional visual information helpful for taking reasonable decisions. 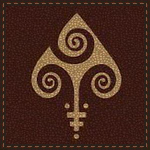 PlayingCardCollector.net introduces its special system of badges for crowdfunding playing card projects. “Funded Projects” (FP) – indicates how many playing card projects of the creator have been funded on the crowdfunding platform. “Printed & Delivered” (P&D) – indicates how many (if any) playing card projects of the creator funded on the crowdfunding platform have been printed and delivered to his (her) backers. “Under Question” (UQ) – indicates how many (if any) playing card projects of the creator have been funded on the crowdfunding platform but haven’t been printed and/or delivered. “Parallel Projects” (PP) – indicates how many (if any) playing card projects of the creator are active on the crowdfunding platform at this moment. “Alternative Presence” (AP) – indicates how many (if any) playing card projects (the same or different) of the creator are active on different crowdfunding platforms at the same time. [ACTIVE] – indicates that the playing card project is active on crowdfunding platform and you can support it (pledge). [FUNDED] – indicates that the playing card project has been funded on the crowdfunding platform. [PRINTED] – indicates that the crowdfunding playing card decks have been printed. [SCAM] – indicates the crowdfunding playing card project which happened to be a scam. PlayingCardCollector.net whish you to find interesting and successful playing card projects on crowdfunding platforms created by honest and talented people.